Tripawd Heroes, Volume One is now available in the new Tripawds Blurb Bookstore! Available in three styles, this colorful photo book features the stories of 25 inspawrational canine amputees loving life on three legs. 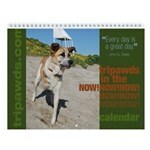 Tripawd Heroes is the perfect gift for anyone with a three legged dog. Ideal for your veterinarian’s lobby, it provides hope for anyone facing amputation for their dog and includes helpful canine cancer resources. 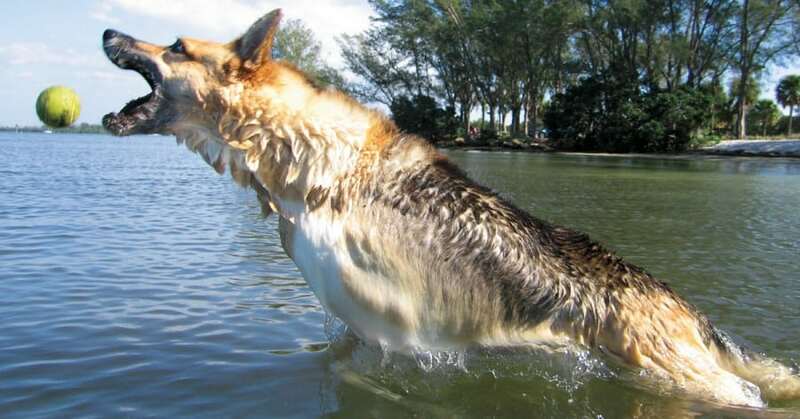 This first volume of Tripawd Heroes is filled with plenty of fun, colorful photos and personal accounts of canine cancer survivors and other three legged dogs from the Tripawds Blogs community and discussion forums. 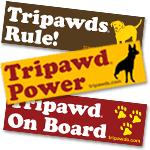 Choose from a 7″ x 7″ softcover edition of Tripawd Heroes or select the 10″x8″ premium edition with bigger photos and more legible type, available in paperback or hardcover. NOTE: Personalized Tripawd Heroes books are no longer available. How will your dog cope after amputation? 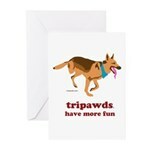 Just ask these Tripawd Heroes! More than 20 inspirational stories of dogs loving life on three legs. Sign up now to download a free copy of Tripawd Heroes and receive our best amputation recovery and care tips. ME too! I gotta get it sorted it out since I seem to always get too few and forget myself! we’ve got our order in!!! we’re gonna give one to gayle’s regular vet and also her acupuncture vet…here’s a suggestion, i’m gonna go to joann’s fabric and get some inch wide satin ribbon. i’ll cut a piece (with forked edges) to drape through the book at gayle’s page. at the top and bottom of the ribbon, i’m gonna use a sparkle pen or sharpie to put three paw prints… you could even then write a little sentiment on the part of the ribbon in the book… inexpensive way to make it extra special! can’t wait to get our books!